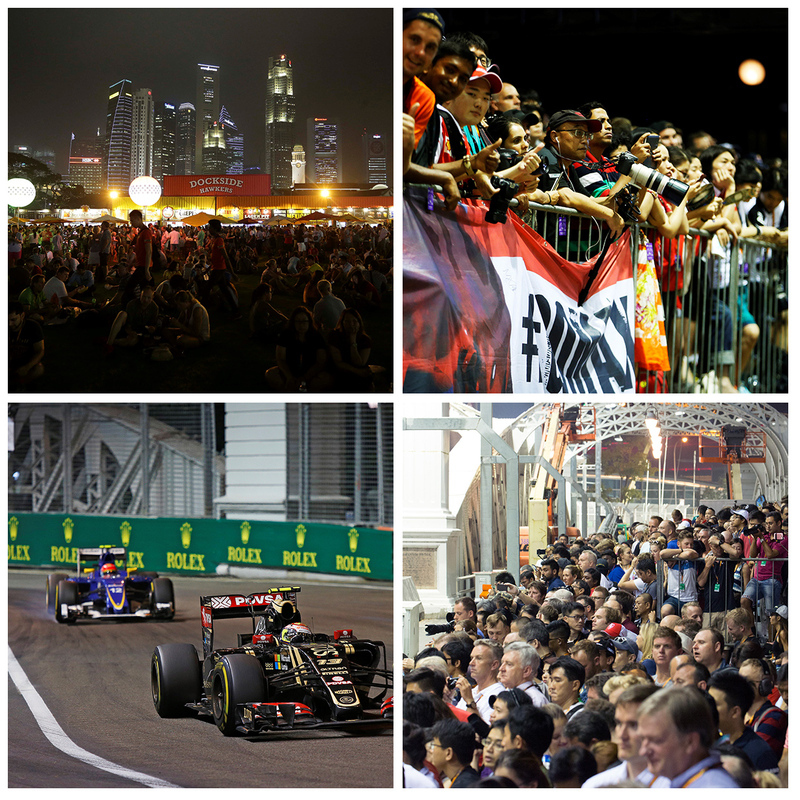 30 May 2016, Singapore – Race promoter Singapore GP today launched the single-day Zone 4 Walkabout tickets for the 2016 FORMULA 1 SINGAPORE AIRLINES SINGAPORE GRAND PRIX. Fans can now opt to purchase the Friday Zone 4 Walkabout tickets (S$78nett), Saturday Zone 4 Walkabout tickets (S$168nett) or Sunday Zone 4 Walkabout tickets (S$198nett), at a maximum of four tickets per person. (See Annex 1 for full ticket prices). Zone 4 Walkabout tickets will give patrons great value for money, with the Circuit Park slated to open from 2.30pm to 12.30am daily over the race weekend. Ticketholders can catch the Formula 1® action from strategically located bleachers, three support races (Ferrari Challenge Asia Pacific, Porsche Carrera Cup Asia and TCR International Series) as well as access the Padang Stage concert for the day. Single-day Zone 4 Walkabout tickets to the 2016 FORMULA 1 SINGAPORE AIRLINES SINGAPORE GRAND PRIX can be purchased at www.singaporegp.sg, via the ticketing hotline +65 6738 6738 as well as SISTIC outlets in Singapore from today. A limited number of Friday Zone 4 Walkabout tickets will also be sold to Singaporeans and Singapore residents at a promotional price of S$38 nett. These tickets can only be purchased over-the-counter at SISTIC outlets* (subject to availability).